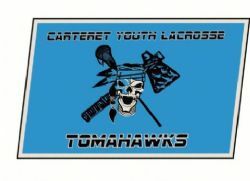 Welcome to Topsail Youth Lacrosse Association! We are a non-profit 501(c)3 lacrosse organization whose purpose, mission, and objective is to provide a high-quality experience to every athlete and coach, one in which every player has fun playing the game, feels he or she is an important part of the team regardless of performance, learns “life lessons” that have value beyond the playing field and develops and learns as an athlete with a deepening understanding of the skills, tactics and strategies of the game. We offer lacrosse opportunities for all children regardless of ability from the 3rd through 8th grade. Recreational lacrosse is a spring sport and typically runs from early February through late May. Fall is typically our season for skills clinics for the newer players as well as tournament opportunities for the more experienced players. 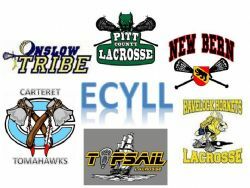 Be sure to join our facebook page TOPSAIL LACROSSE to stay up to date with information, clinics and fun! Now taking orders for awesome custom Topsail T's by Forever Fierce!